KYC Checklist - What are the elements? Many industries are becoming heavily legislated around getting to know your customer from a legal perspective. KYC or Know Your Customer, forms part of the due diligence process for AML/CFT. 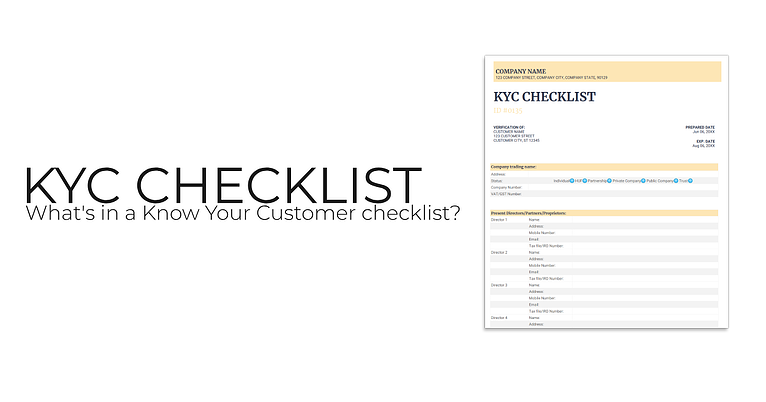 But just what are the main elements of a KYC document checklist?